Dubai is one of the world’s largest employers of foreign workers. Now then. On the one hand we have millions of hard-working, poorly paid people getting the shaft from the corporate banking establishment. On the other hand, we have vast piles of money. It’s a textbook opportunity for a social enterprise solution. A textbook social enterprise solution. 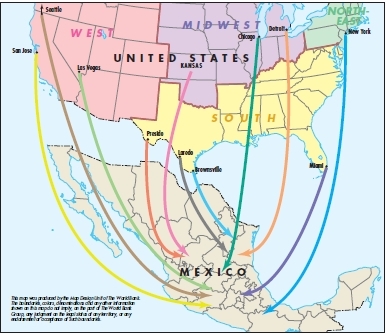 Workers in the US remitted $22.4 billion to Mexico in 2012. Some perspective: Workers in the US remitted $22.4 billion to Mexico in 2012—more than all foreign direct investment in Mexico—and incurred just over $2 billion in fees. Cutting those charges by half would put an extra billion dollars into the hands of 1.4 million Mexican working class families. Investors Won’t Do Badly, Either. Pangea has identified an underserved market, determined a pain point, and built a solution. Like any other startup, their success will make a few wealthy people even wealthier.